$5 admission for members, $10 admission for the general public. To register, please call 407-647-6294 and ask for Erin, or email volunteer@polasek.org. If you think our current exhibit is interesting, just wait till you hear the story behind this remarkable collection from the owner herself! Join us for a presentation by published anthropologist, Barbara B. Wavell. Ms. Wavell, a Rollins alumni, has been collecting art from Micronesia since 1975 and has amassed an unrivaled ethnographic collection of over 1200 Micronesian art and artifacts. She has a Master’s degree in cultural anthropology and is a member of the Pacific Arts Association and the Association of Social Anthropologists in Oceania. 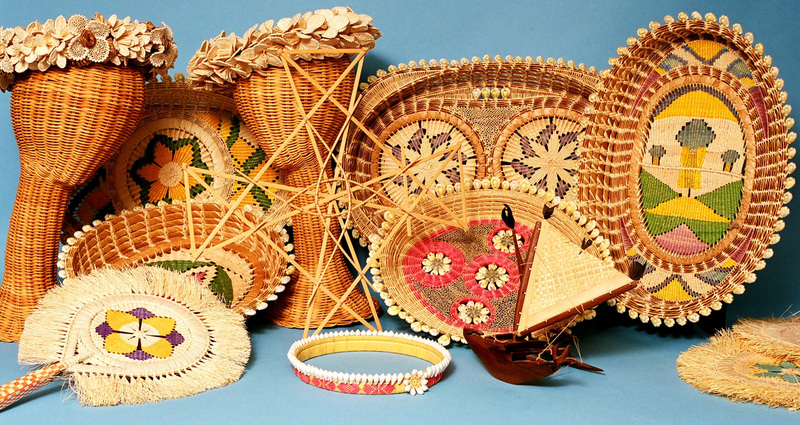 Ms. Wavell has given numerous lectures on the topic of Micronesian handicrafts which have been a continuing focus for research. In addition to the objects themselves, Ms. Wavell has collected a specialized reference library and a selection of historic book prints, slides and photographs of Micronesia and Micronesian art. Join us for this fascinating presentation in the Historic Capen House on the Polasek estate, to be followed with a personal gallery walk-thru of the exhibit with our collector and curator in the gallery. Get acquainted with this remarkable and artistic culture.